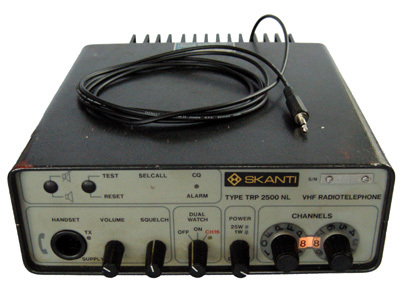 The Skanti TRP-2500 is a rather vintage marine VHF radio. It's spacious layout makes it easy to enable AIS reception by adding a discriminator output. 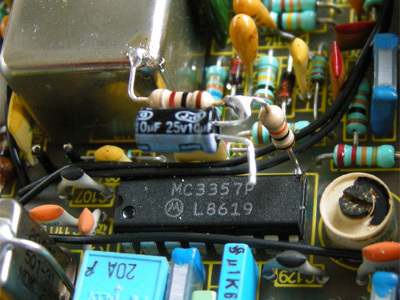 The receiver IC is an MC3357. 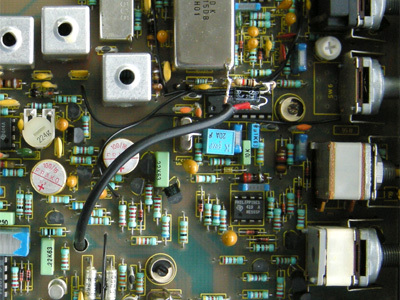 The unfiltered audio can be found on pin 9. 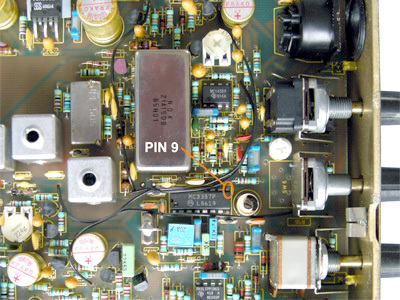 The output signal has a peak-peak voltage of about 5 V. A voltage divider is used to attenuate the output signal by about 10 times and protect the line- or microphone input of a connected PC. Mount a 3.5 mm mono audio connector on the shielded wire.